Introducing CatLadyBox - The First-Ever Subscription Box for People Who Love Cats! 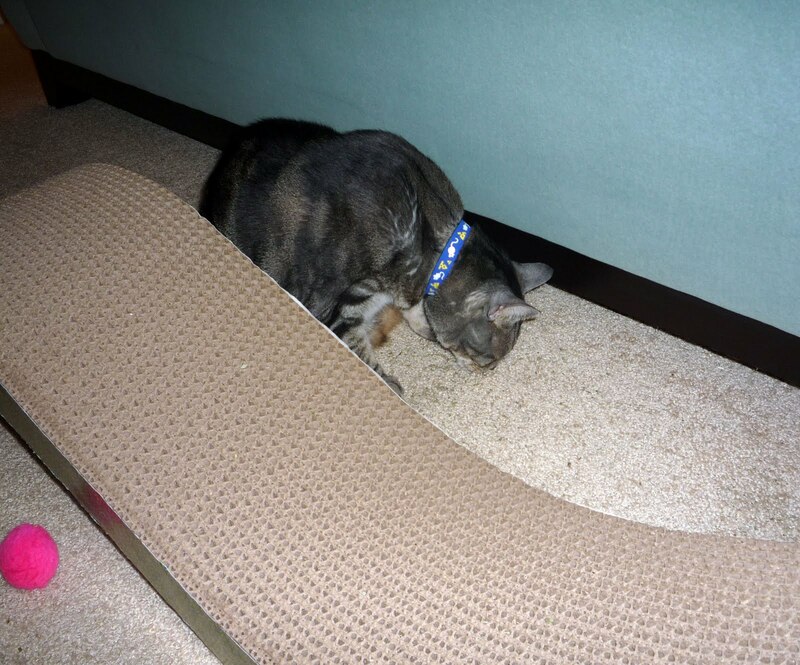 Three Cats Thursday: The Treat Claw! Come across something cute you want to share? 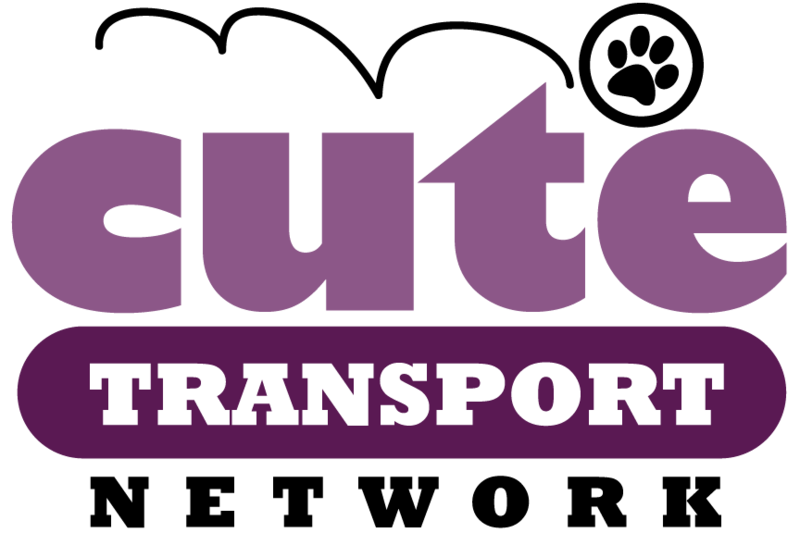 Submit to Your Daily Cute by clicking here! Looking to advertise on Your Daily Cute? Contact us at the same link for more information! Chased by a Herd of Cute! Cutest Tiny Cat Attack Ever! Has Maru Met His Match? This game is simple: Whichever cat makes it into the box first has the upperpaw when it comes to the inevitable battle. Sorry, Kitty #2, this box is taken. Whapthwakpawswat! Sunshine the newborn baby anteater is a little wobbly on his tiny feet, so he spends a lot of time clinging to his equally-adorable mommy. But when he does give standing a shot on his own... I just want to eat him up! This is at the Sunshine International Aquarium in Tokyo. I did a little poking around for more info on Sunshine, and it looks like this video was originally posted a while back, so he's actually almost two right now! What would you do if a herd of 10 adorable puppies was chasing you around in circles? I know what I would do... I would want to do it again! This little boy is having the time of his life with these cute puppies. Guaranteed to put a smile on your face! BONUS CUTE: Another herd of puppies! Thanks to Cute's friend Linda for sharing this cute puppy video! THUD. Faceplant right into the bed. We've seen silly sleepy cats before (Remember the one snoring in the glass? ), but this one naps the hardest of all of them, for sure. 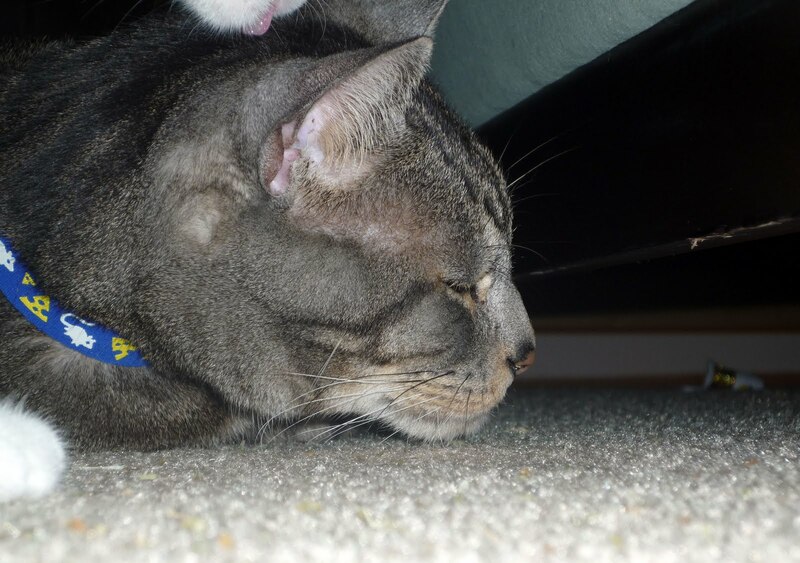 Happy Two Cats Tuesday! Today Pimp and Moo decided Flo could share their day. Last night, Pimp overindulged in the NIP. I had moved their giant scratcher to vacuum the back of the couch and he discovered the most ginormous pile of old, leftover catnip underneath it. It must have fallen off from when I first dusted it with NIP when we got it. Oooh! I found the secret NIP stash! Mine all mine! If I open my mouth real wide and nom the carpet hard, I can get more NIP! STOP EVERYTHING! You know how sometimes you take a picture and you don't realize just how cute it is or you don't see certain things in it until afterwards? Well, this is one of those. I knew it was cute, but I didn't realize just how cute it was... Click to biggify it if you want. Those are moments I love, Cuteheads. They are few and far between with these two boys! And now, I leave you with a video of Florence. No babies yet, but there must be eggs in there. She's sitting a little higher than she was at first. Come on, baby birdies! Come out and play! This tiny cottonball of a kitten somehow gets it in his head that he needs to attack his big dog brother. 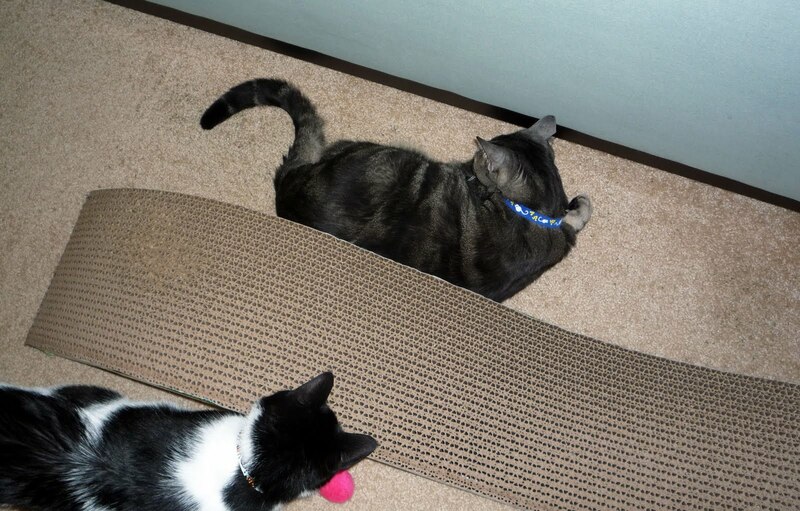 You can see him gathering his little courage... and then POUNCE! Thanks to Cute's friends at Life with Cats for sharing this cute kitten attack video! Maru is famous for his love of boxes. There is no box too big or too small for Maru to conquer. But could this latest tricky box be the one that finally stumps him? I think we all know better that to think he'd let a box beat him... but it does give him a little bit of trouble! Sign Up to Drive Cats! 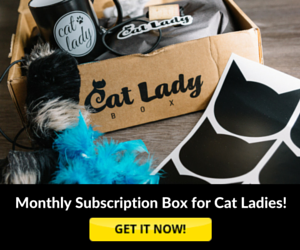 CatLadyBox - First-ever monthly subscription box for cat ladies!